Drop this disc in your CD player, or load it on your phone, and in minutes you'll be experiencing slower breathing rate, heart rate, lower blood pressure, reduced muscle tension and most importantly less stress. This is an Audio CD. Five easy relaxation exercises over a backdrop of soothing music. An all-time best-selling CD. It has been given away by the thousands to employees in all types of organizations. It’s been used by soldiers with PTSD, hospital patients with chronic pain, and organizations to teach relaxation skills. 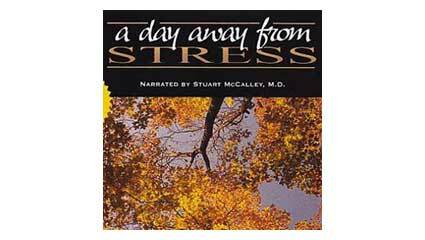 Within minutes of putting on this CD, you’ll feel more relaxed, more at ease and less stressed. Listen to it just once and you’ll be “hooked” just like a reviewer from Ladies Home Journal who wrote: “within five minutes I forgot about my anger, I actually felt relaxed. It did the trick. I was hooked”.